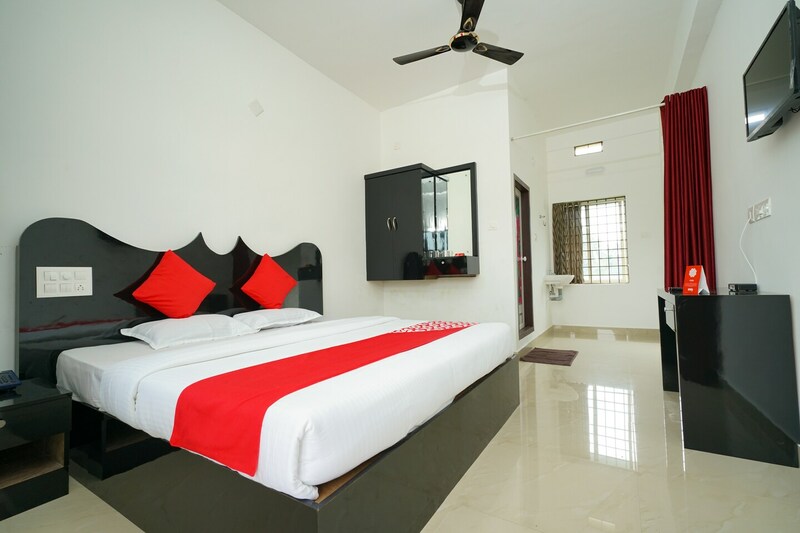 Fathima Residency welcomes guests to rooms that are contemporary and comfortable, along with scenic balcony views to provide guests with a relaxing and enjoyable stay in Munnar. The rooms are designed in a simple, modern style with light toned walls and dark furnishings serving as a contrast. The curtains and the white lighting further add to the bright feel of the rooms. The balconies offer panoramic views of the landscape outside, including tall palm trees, and provide space for guests to spend time directly with nature. The property offers a power backup and seating facility. Fathima Residency also has a parking facility available for guests travelling with private vehicles, and a CCTV camera setup in place across the property for added security.